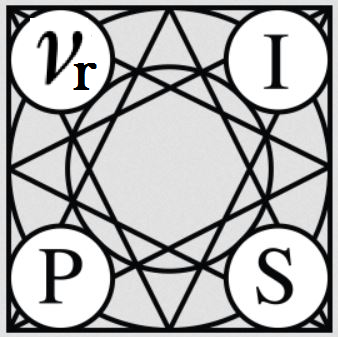 For any question, please contact us by email at nips2014@chalearn.org. Isabelle Guyon is an independent consultant, specialized in statistical data analysis, pattern recognition and machine learning. Prior to starting her consulting practice in 1996, Isabelle Guyon was a researcher at AT&T Bell Laboratories, where she pioneered applications of neural networks to pen computer interfaces and co-invented Support Vector Machines (SVM). She is also the primary inventor of SVM-RFE, a variable selection technique based on SVM. She organized many challenges in Machine Learning over the past few years supported by the EU network Pascal2, NSF, and DARPA, with prizes sponsored by Microsoft, Google, and Texas Instrument. She is president of Chalearn, a non-profit dedicated to organizing challenges, vice-president of the Unipen foundation, adjunct professor at New-York University, action editor of the Journal of Machine Learning Research, and editor of the Challenges in Machine Learning book series of Microtome. Evelyne Viegas is the Director of Semantic Computing at Microsoft Research, based in Redmond, Washington, United States. Semantic computing is about interacting with data in rich, safe, and semantically meaningful ways, to create the path from data to information, knowledge, and intelligence. In her current role, Evelyne is building initiatives that focus on information seen as an enabler of innovation, working in partnership with universities and government agencies worldwide. In particular, she creates programs in the area of computational intelligence to unleash the power of data and drive open innovation via agile experimentation and cloud-based services, as well as projects to advance the state of the art in machine learning, information-rich programming, knowledge representation, and reasoning under uncertainty at web scale. She currently leads the Machine Learning community effort for CodaLab. Prior to her present role, Evelyne worked as a technical lead at Microsoft delivering Natural Language Processing components to projects for MSN, Office, and Windows. Before Microsoft, and after completing her Ph.D. in France, she worked as a Principal Investigator at the Computing Research Laboratory in New Mexico on an ontology-based Machine Translation project. Evelyne serves on international editorial, program, and award committees.